NIA CHARLESTOWN NEVIS (October 28, 2016) — The Nevis Island Administration (NIA) and the High Command of the Royal St. Christopher and Nevis Police Force in conjunction with the Federal Government are taking steps to redeploy police officers stationed at the Newcastle Police Station to neighbouring police districts by November 15, 2016, as a temporary measure. Hon. 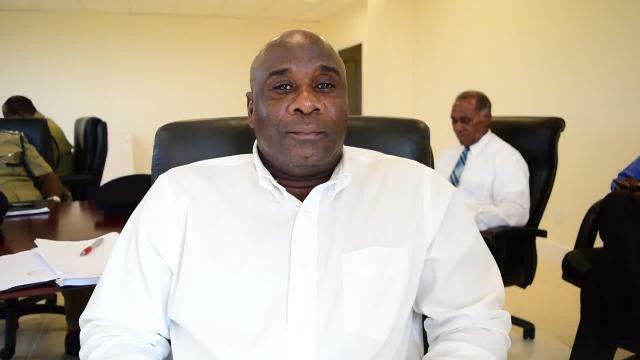 Vance Amory, Premier of Nevis and Minister responsible for Security made the announcement on October 27, 2016, following a Cabinet meeting with the Royal St. Christopher and Nevis High Command at his office at Pinney’s. He said the police station has become unfit for humans to work in and it has become necessary to safeguard them from further exposure to what he termed as unhealthy conditions there. Mr. Amory stated that Hon. Alexis Jeffers, Minister responsible for Communication and Works on Nevis and the Area Representative for the Parish of St. James’, will spearhead the process of demolishing the building, finding a suitable plan and the relevant financing to construct a new police station in that area. The Premier added, that the matter is one that has been discussed extensively over the years and, in his view, the time has come to execute the plan. “I think the time has come for us not to just talk… In an age when we are talking and demanding more of the police officers I think we need to show the police officers that we, as the Administration and the Federal Government as well, that we care for their welfare. “This is the beginning of our taking action, to ensure that they get the support which they need to continue to perform their duties, to provide the security and the protection for the people of Nevis and the people of the Federation generally,” he said. However, Mr. Amory stressed that the area would not be abandoned by the police. He assured that the officers would be deployed in a manner in which the people of Nevis will have proper police service and responses in the Newcastle area and throughout Nevis. Meantime, Supt. 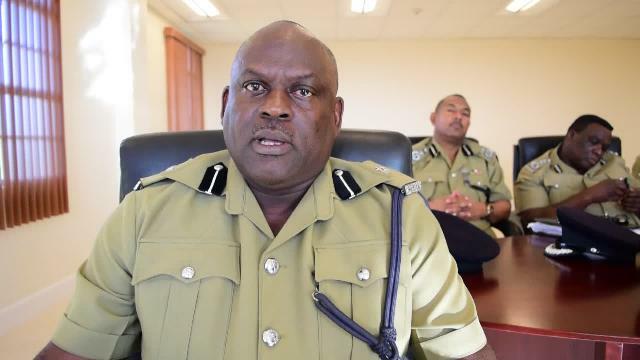 Trevor Mills, Officer-in-Charge of the Royal St. Christopher and Nevis Police Force, Nevis Division explained that upon closure of the station officers would be deployed at the Cotton Ground and Gingerland police stations and would respond accordingly to deal with any reports on the usual 24-hour basis. “The Police will still have that heavy presence in the Newcastle Policing District. So we will continue that as per normal. We will maintain a heavy patrol in the District… The response time will be very, very quick,” he said. Minister Jeffers assured residents of St. James’ that as time goes by he would update them as to the progress being made to construct a new police station in the area. He noted that some preliminary drawings have already been done and they are at the point of engaging in costing and eventually funding, which he hopes would be addressed during the Administration’s upcoming budget. 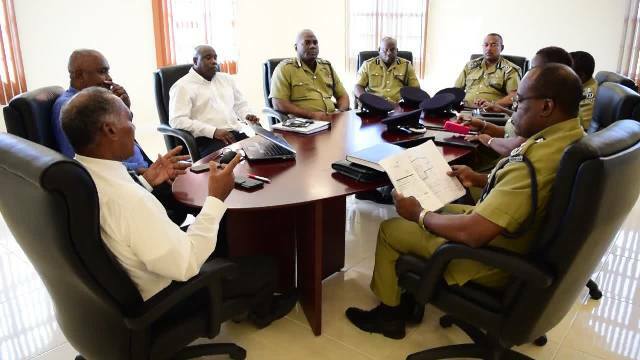 Also present was Commissioner Ian Queeley, Deputy Commissioner Hilroy Brandy, Assistant Commissioners Andre Mitchell, Merclyn Hughes and Terrance James and Cabinet Secretary Stedmond Tross.